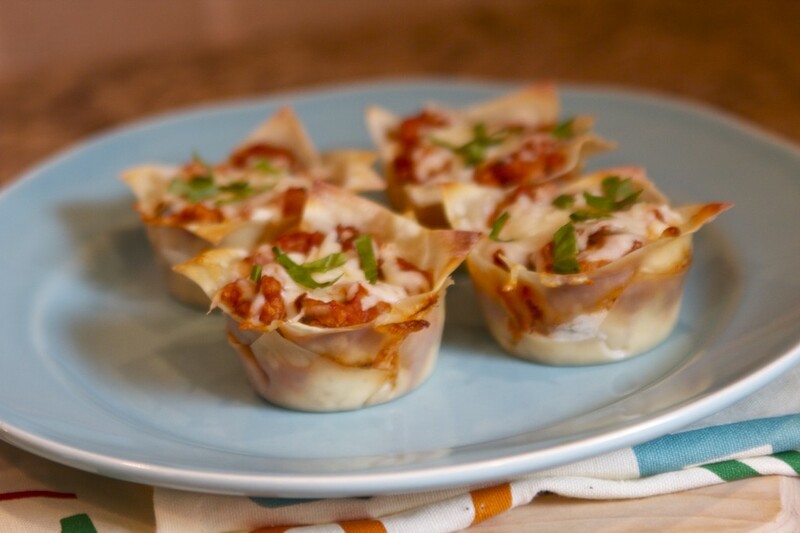 These Mini Lasagnas are perfect for portion control, but also for parties & entertaining. 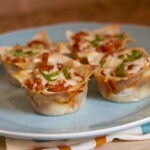 You can even stick a candle in one and call it a Lasagna Cupcake. Great idea for a birthday party. 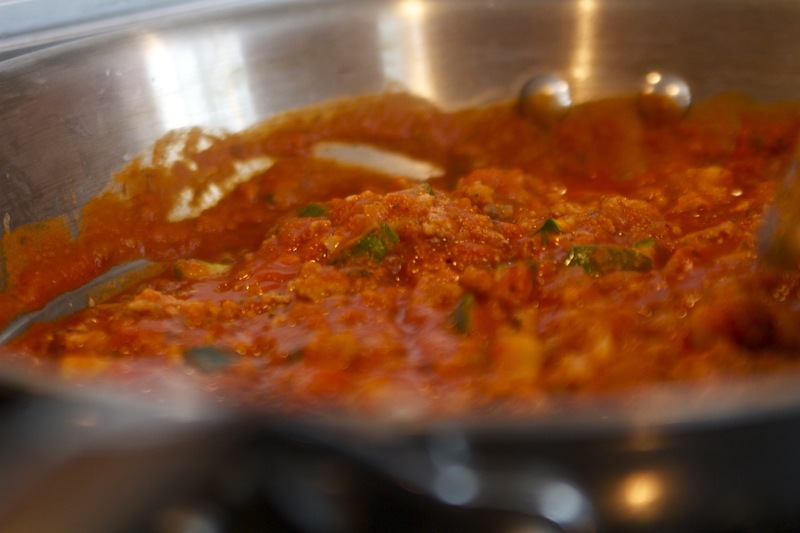 I used Mama Jess Bean Good Organic Pasta Sauce in this recipe to really boost the flavor. 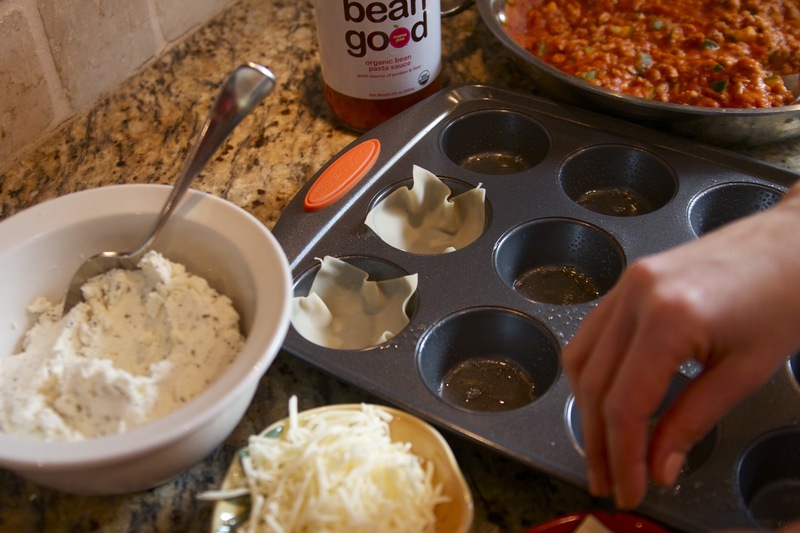 Let me brag about Bean Good for a second – its thick and zesty, doesn’t run (very important in this recipe as well as pizza recipes) and we haven’t even touched on the nutritional importance! 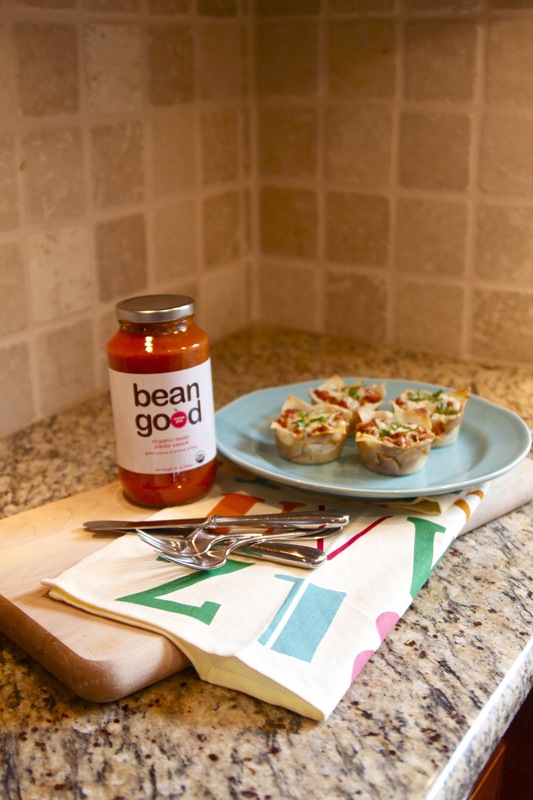 Bean Good is the ONLY pasta sauce out there with PROTEIN & FIBER. Great for vegans, healthy eaters, kids who don’t like meat, flexitarians, etc. 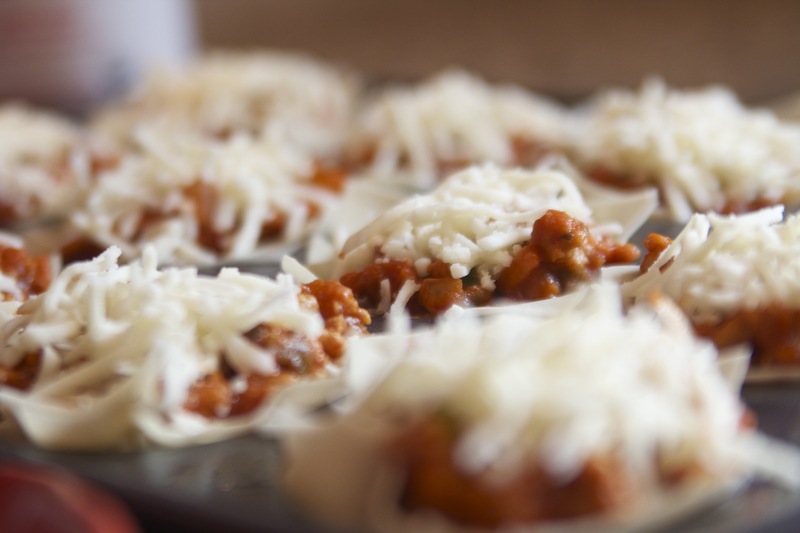 These lasagnas are mini, so its really important to pack a flavor punch in them! A dietitian’s secret, eat flavorful foods to satiate your appetite. heat large skillet over medium heat. spray with cooking spray or 1 T olive oil. brown the meat. set aside once cooked through. I like to place it on a plate with a paper towel to drain any fat. 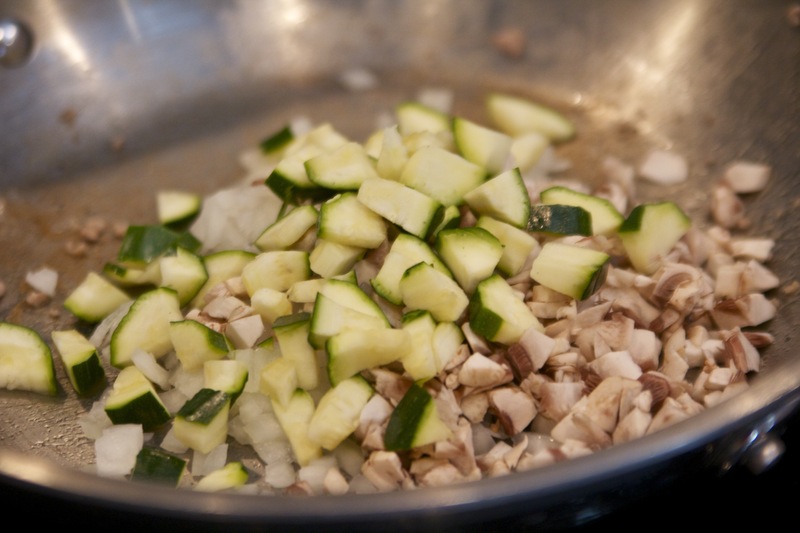 using same pan, sauté the onions, mushrooms & zucchini for a few minutes. now return the meat to pan and add the Bean Good sauce. cook for a couple minutes to thicken mixture up. In a medium bowl, combine ricotta cheese, parmesan cheese, oregano and salt & pepper. 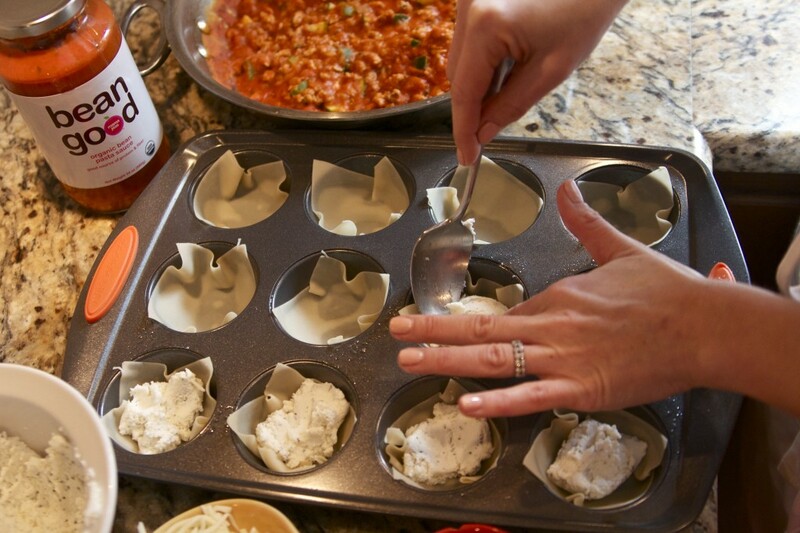 coat a 12 cup muffin pan with cooking spray. place 1 wonton wrapper firmly in each cup. 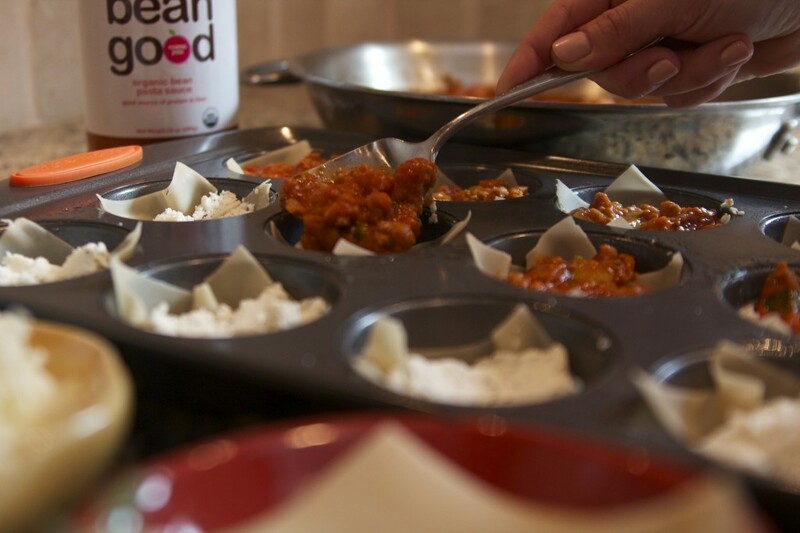 using half the ricotta mixture, spoon one tablespoon in each muffin cup. next spoon half of turkey sauce mixture into each muffin cup. 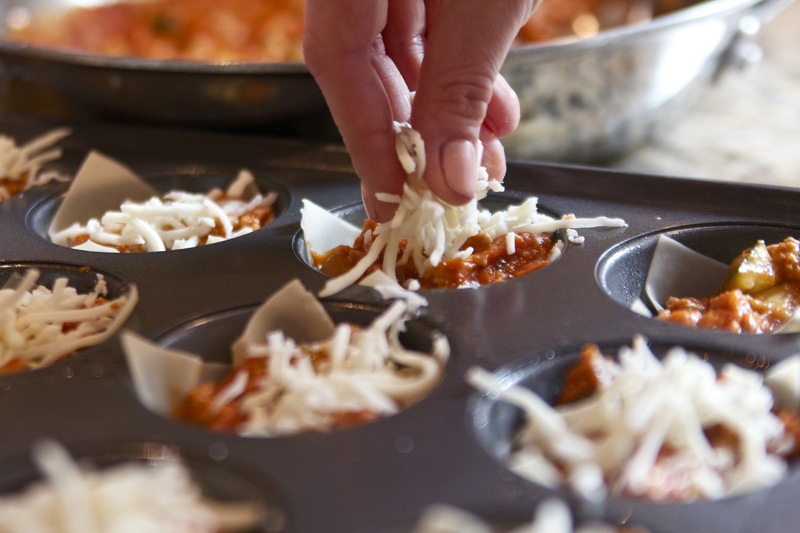 Sprinkle each cup with 2 tsp of mozzarella. 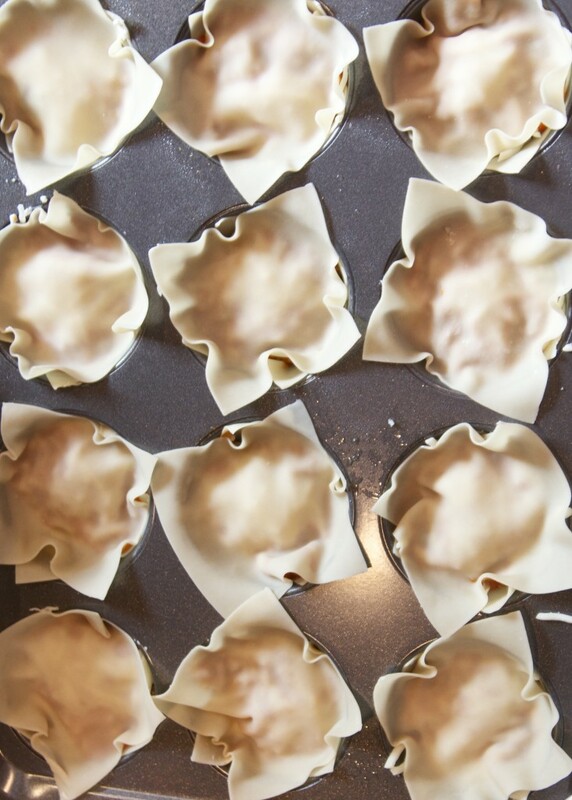 bake for 10 minutes or until wonton is golden and cheese has melted. let cups cool for 5 minutes, remove & serve. i serve these with a big, low-fat Caesar Salad. It’s a great meal - just the right amount of lasagna! and be sure to freeze the other half jar of Mama Jess Bean Good in a freezer safe container. It’s the perfect amount to spread on homemade pizzas or ravioli. 1 jar= two meals! to go meatless. Just boost the veggies by 1 cup. I have added fresh spinach (just be sure to drain water), peppers, and broccoli.